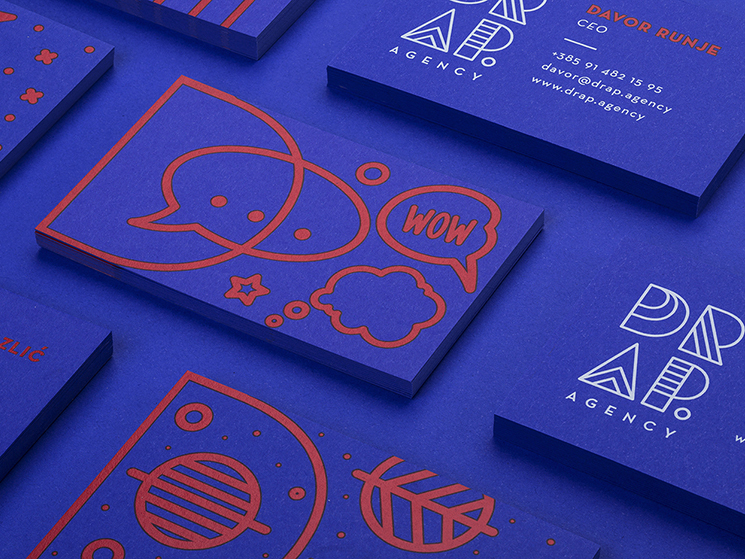 Mireldy Design Studio designed these business cards for Drap Agency, a Croatia-based creative and technology oriented agency that loves innovation and new media. The basic idea was to make a visual identity that will unite (on one hand complementary and on the other hand opposing) the personalities of Drap agency. “The logo is a compact typographic solution. It frames the playful line forms that fills its body. This way the mentioned opposing personalities are unified in a compact unique form. At the same time the shape of the logo leaves room for modular intervention. 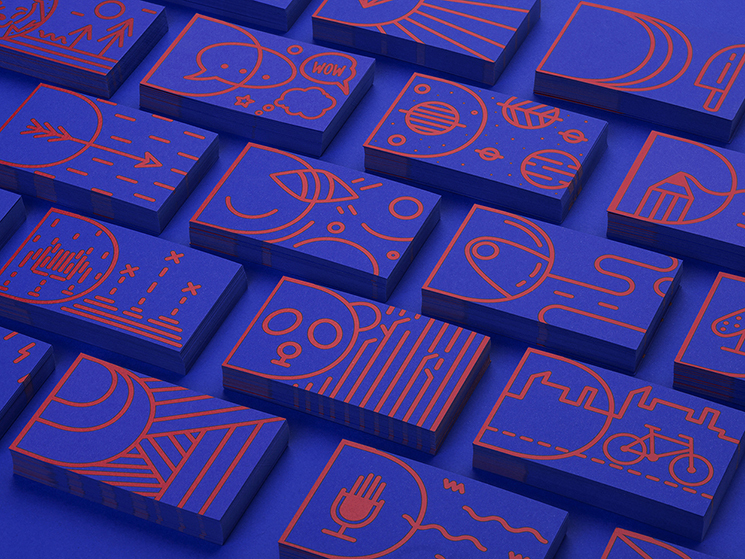 Out of its basis established a system and created the entire visual identity,” said Mireldy. All materials are personalized so every Drap employee can have a personal visual identity. The business cards were folio printed (red and white) on 320gsm Pop’Set Infra Violet cardstock.